Is Chicago more complacent than other big cities? "Hundreds of citizens and community leaders packed into the Bay Area Rapid Transit board room and two overflow rooms Thursday, demanding the group take responsibility for a subway officer's shooting that left a young man dead. "The BART board of directors started with a moment of silence for Oscar Grant, a 22-year-old father who was killed on New Year's Day in a crowded train station, but it quickly turned into a parade of angry speeches by elected officials, activists and outraged citizens." The emphasis is mine. These characters—these elected officials, activists, and outraged citizens who storm public meetings and make angry speeches—seem to be in far greater supply in the Bay Area than they are here. Cell phone videos of the fatal shooting of Oscar Grant were quickly posted on YouTube, and these fanned the flames. But in 2007 the Reader posted a similar video and it rolled off Chicago's back. Security cameras had recorded Michael Pleasance, 23, being gunned down by a Chicago policeman at the 95th Street Red Line station in 2003. When John Conroy learned from lawyers for Pleasance's mother that the video existed, he watched it and described what he saw in the Reader: Officer Alvin Weems, waving his gun as he tries to deal with Patrick Anderson, a participant in a fight that had broken out near the turnstiles. Pleasance approaches with his jacket in one hand, stands in front of Weems, and says something to him. "He seems to be disputing Weems's take on the situation, but he's not overly agitated or gesticulating," Conroy wrote. Pleasance raises one hand, but not, Conroy thought, in a threatening way. Then: "Weems raises the Ruger and shoots Pleasance in the head." Conroy reported that at the time, police had dramatically misrepresented what actually happened. According to an internal report filed the day of the shooting by an assistant deputy police superintendent, Pleasance and Anderson both had threatened Weems, causing him to draw his gun. "As offender Pleasance lunged at Officer Weems," the report read, "his weapon discharged." Conroy wrote, "In fact, the tape shows Weems with his weapon drawn from the outset. It doesn't show Pleasance lunging or doing anything else that could be construed as a threat to Weems's life." 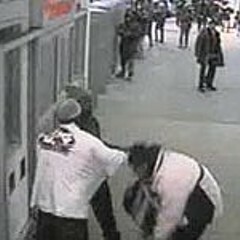 Conroy noted that the Tribune, attributing its account to a police spokesman, wrote that Weems found himself up against "six or seven men kicking another man on the ground near a turnstile," and when he tried to walk one toward an elevator "the other men tried to block his way and became verbally and physically abusive." The story continued: "The officer feared for his life and drew his gun.... One of the men either ran into the officer or tried to take away the weapon and the gun discharged, striking Michael Pleasance in the neck." Yes, the incident was old when the Weems video was posted. But the revelation that police had misled the public was brand spanking new. The video was heavily viewed, yet it stirred up little public comment—even though it surfaced as something of a capper. Two other videos had just made big news in Chicago: a recording of six off-duty police officers walloping four businessmen in a bar in December 2006 and a February 2007 recording of an off-duty officer punching and kicking a young female bartender who'd cut him off. But big news in Chicago can be something of an illusion. Look closely after a media feeding frenzy subsides and you'll often see that not only has little or nothing changed but no actual confrontation of any consequence has taken place between the powers that be and any combination of outraged elected officials, activists, and citizens. Chicago has its watchdog groups, but where are our insufferable Al Sharptons—the opportunists who know exactly how to mau-mau the establishment and inflame the street? Jesse Jackson hasn't filled that role in decades. John Conroy began writing about Jon Burge in these pages in 1990, and I've given up waiting for Chicago to awaken to police torture with a mighty spasm of revulsion. Two decades later, no one has ever emerged who's shrewd and opportunistic enough to turn this scandal into self-serving headlines while at the same time making the lives of the mayor and the police chief and the state's attorney really miserable. 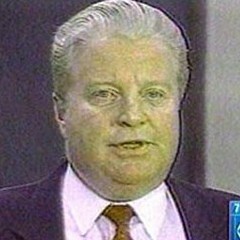 Former governor George Ryan might be the only person who's even recognized the opportunity, citing Burge as a reason to halt executions when he started drowning in political scandal. Roland Burris has become Illinois' new junior senator, I believe, not because there was no legal way for Senate Democrats to deny his appointment but because they saw nothing—beyond some snarky letters to the editor and blog posts—to indicate that the good people of his home state cared if he was seated. Nobody organized against Burris. Nobody even screamed. A feeling of powerlessness has become such second nature in this state that the public watched the Burris comedy play out without caring—or perhaps even noticing—how offensive it was. The only mau-mauing was done by congressman Bobby Rush—on Burris's behalf. If the people of Illinois shrug off Burris's appointment as more of the same old same old, why shouldn't the Senate roll over? I'm finally beginning to understand why John Kass is so damned unhappy. His Tribune column this past Sunday was such a downer I almost felt sorry for him: Kass could see nothing in Barack Obama's inauguration but tyranny changing costume: "It seems that all the party high priests and their archbishops are arguing about now is the leveraging of absolute federal power. Security State meets Nanny State. What's the difference?" He sounded exhausted. Despite his many years of writing against this state's backroom alliance of Republican and Democratic kingpins, they're all rich, Illinois is blighted, and he's whipped. Out in the Bay Area, elected officials, activists, and outraged citizens raise their voices, shake their fists, and once in a while—have you seen Milk yet?—make an astonishing difference. Here they all cheer for the Bears. The lead editorial in the Sunday Tribune was to this point. It was called "Corruption costs you," and it asked, "Can Illinois truly change its culture of sleaze?" The editorial noted that Patrick Collins, a former federal prosecutor who was just named to lieutenant governor Pat Quinn's state ethics commission, "frequently volunteers that insiders in Springfield and elsewhere avoid reforms that would shake their world by banking on inertia and short attention spans: They know that a fickle public gets distracted and eventually loses interest." In assuming there's actually a period when people do pay attention, the editorial gave the public the benefit of the doubt. After all, the citizens of Illinois had four years to pay attention to Rod Blagojevich before reelecting him governor in 2006. No Chicago newspaper has ever hawked its wares with the slogan "We care so you don't have to," but it has the ring of truth in advertising. Apathy is sure to be ungrateful, however, and today, when Chicago's newspapers find themselves in terrible trouble, the public doesn't seem to care much whether they survive. David Beers, editor of the Tyee, a Vancouver-based news site I've written about, told me about attending a conference in San Francisco that was called a year and a half ago in response to a crisis in local media. The daily Chronicle "was hemorrhaging money," and there'd been massive layoffs at the Chronicle, at the nearby San Jose Mercury News, and at California's most powerful daily, the Los Angeles Times. Beers was astonished by who showed up—not just the laid-off journeymen and perplexed wannabes he'd seen clustering at other forums devoted to bemoaning the state of the newspaper business, but also Governor Schwarzenegger's top legislative aide; Leon Panetta, a former congressman who became Bill Clinton's chief of staff and is now taking over the CIA under Obama; the major foundations. These were people who believed that "love them or hate them, you never want the damn things to just disappear," Beers tells me. They understood that the endless conversation civil society must have with itself flows through its newspapers. For more on the media, see Michael Miner's blog, News Bites. So where is the outrage, anyway? Officer Alvin Weems shot an unarmed man point-blank in view of CTA security cameras. Investigators recommended that he be fired. Phil Cline promoted him.